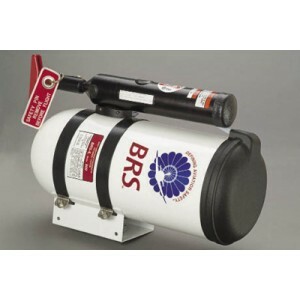 BRS units have an aluminum canister container intended for installation on exposed airframe tubing (may be within enclosure if larger rocket supplied), with fast opening parachute, all hardware and instructions provided. 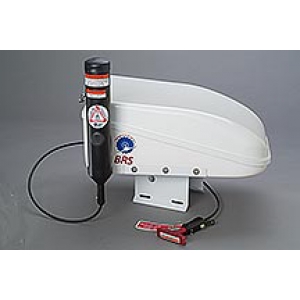 Please Note: BRS units listed require a $150.00 UPS shipping charge in the USA. International shipping is "collect." Check or charge card number must accompany order. Orders are noncancellable and nonreturnable. Prepayment required on all BRS's plus shipping charge & shipped FOB factory. (1) Some aircraft MAY have additional charges when nonstandard bridles or extra parts are required. 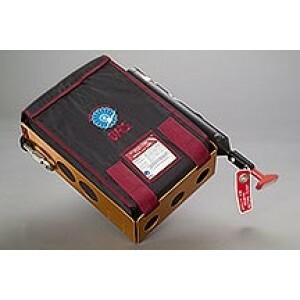 (2) "Softpack HD" (HD = High Density) units are systems built with a fabric exterior container and are Pressure Packed. (3) Years between canopy repacks. NOTE: 6-year repack for softpacks if internally mounted ONLY and not exposed to weather. VLS (**) can go 6 years only if the factory cover seal remains intact. Canisters have a 6 year cycle. (4) All weights are approximate figures. Systems vary slightly depending on exact mounting hardware included. (5) All figures shown are in inches. "Round" numbers relate to the cylindrical canister. Dimensions do not include rockets. (6) 8" canisters (*) on sizes 800 and 1050 are 18.5 inches long. Dimensions do not include rockets. (7) Sport rockets have 12 year service life, GA rockets have 10 year service life.